For a while I’ve been struggling on what to write for the Ballet Arizona blog. As I was contemplating, I was on my way to Lake Pleasant to paddle board when I saw a donkey in the middle of the road. I stopped to take a couple of pictures, and that’s when it came to me. I knew exactly what I was going to write about. I had a neighbor in Cuba who lived in AZ for a while. His only description of Arizona was “hot”. I had no idea just how beautiful Arizona would be with or without its summer heat. I was unprepared for everything it holds. I started to get to know the valley with Ballet Under the Stars park shows. Driving to all the different cities allowed me to see and familiarize myself with all kinds of scenery. It was such a privilege to dance for the public at so many locations. Hiking in Antelope Canyon. Photo by Marcos Torres. Then, fellow dancer Michelle Vagi and her husband Rob, took me on my very first hiking trip in Arizona. We drove up to Flagstaff to hike Humphrey’s Peak. I couldn’t believe the contrast of the weather and environment between Flagstaff and Phoenix. It was almost like being in a different state. That’s when my obsession with exploring the outdoors in Arizona started. Now my passions, outside of dance, are paddle boarding, hiking and playing Frisbee. I have now gotten to perform these different activities at Lake Powell, Antelope Canyon, Sedona, Flagstaff, and many others. I have a large group of Cuban friends here in AZ. Two of them are aspiring photographers. Together we have been exploring the desert. We often go camping, hiking and paddle boarding. On our adventures many photographs have been collected along with many memories. We dream of making a book of photographs, “Cubanos in the Desert”. Hahaha. Paddle boarding at Lake Powell. Photo by Marcos Torres. About Annier Navarro: Annier began dancing at the age of 10 under the instruction of Julieta Torres at Escuela Nacional de Arte. In 2003, he continued his ballet training at Vincentia de la Torre under the instruction of Elvia Caballero. 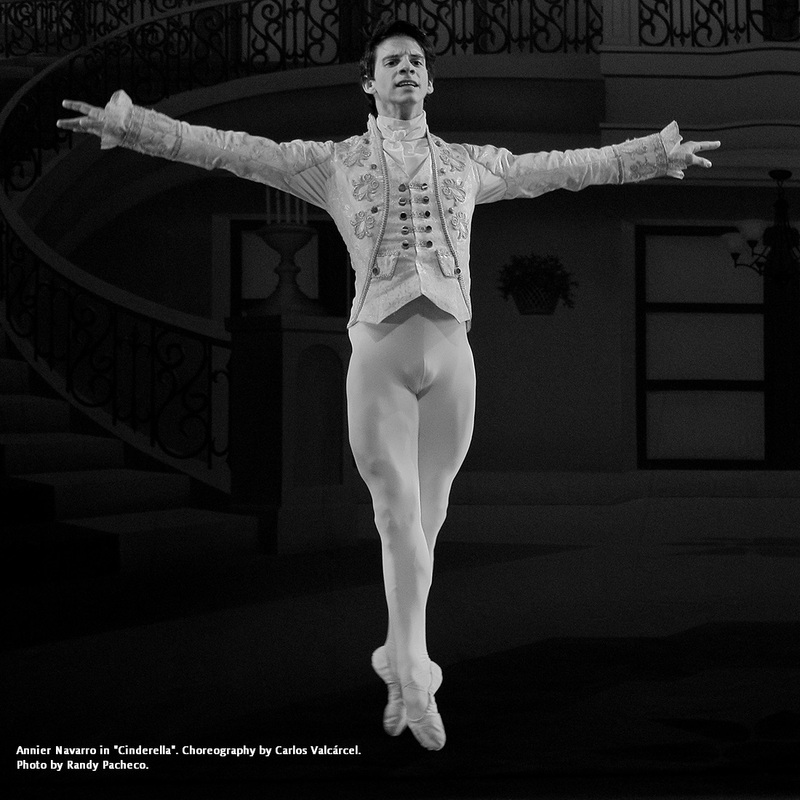 At the age of 17, Annier began his professional career with Ballet Camagüey. In 2010, Annier joined Ballet Nacional de Cuba under the direction of Alicia Alonso. While there, he performed soloist roles in Eduardo Blanco’s Leyenda del Agua Grande (Jaguar) and Dentro de un Piano (Pas de Deux). He also performed corps de ballet roles in many ballets including Giselle and Don Quixote. In 2013, Annier left Cuba to continue his dancing career in the United States where he joined Ballet Arizona that same year. While dancing for Ballet Arizona, Annier has performed corps de ballet and soloist roles in La Bayadere, The Nutcracker, Cinderella, Swan Lake, as well as the U.S. premiere of Napoli. He has also performed in several Balanchine ballets since joining Ballet Arizona including Allegro Brillante, Stravinsky Violin Concerto, La Sonnambula, and Western Symphony. Click here to watch Annier’s official Ballet Arizona video.